I think is time for me I start working on things for Vista. Don't you? the best windows Icon to date! Is my comment for D. Arnaez. LOL... Thanks for all your comments, guys! but "chopy"? LOL... my friend Aroche.... no no, I did it deliberately.. is like a texture only in the sphere just to difference it from the logo a little bit. May be you are right... I should do a bigger bump. Anyway, thanks everyone for your comments. Ohhh I see, no wonder...it was the bump, yeah that explains it Still great icon, amigo! My Desktop has been waiting for you. 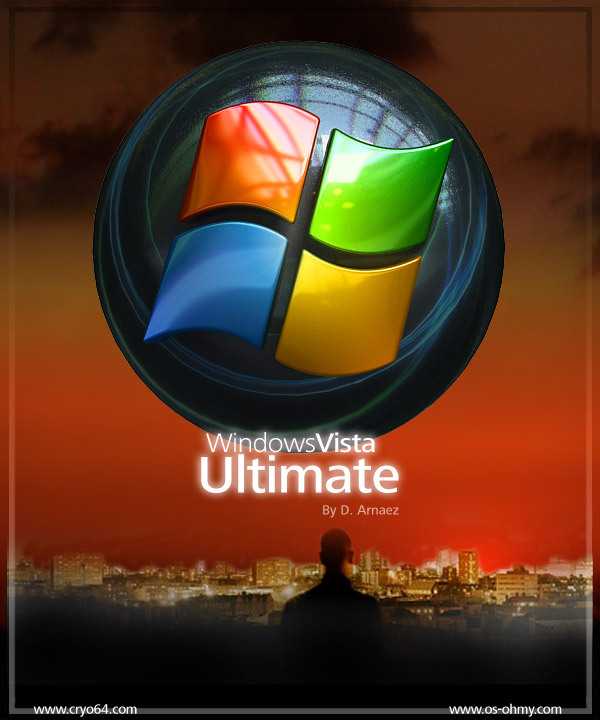 I am an emmense fan of your work and cant wait to see whaat you come up with for Vista. If this is an example then we have a lot to look forward to. Can't you upload this orb in an other site? I can't download it from here! Thats pretty nice. Great work! just curious.... but do you mind telling what program(s) you use to make these absolutely wonderful icons? For these kind of icons I use 3DMax and Photoshop CS3... but I think the programs are not the most important thing but the imagination. You can do it with any other 3D and photo editor Software. Anyway... thank you for the opinion, I really appreciate it.